Earlier today the official Star Wars Celebration site was finally updated with the full schedule of events for Star Wars Celebration Orlando! Because of this, we now know when and where to attend each and every panel and event happening over the four days of the convention. While many fans will be delighted to know where they can begin lining up for the big panels for The Last Jedi and Star Wars' 40th anniversary, a closer look reveals an assortment of intriguing events covering a range of topics including books, comics, music, trivia, behind the scenes, gaming, collecting, theme parks, Podcasting, fandom and so much more. There will even be special screenings of Rogue One: A Star Wars Story and The Original Trilogy films, as well as select episodes of Star Wars Rebels. Below we have highlighted an assortment of events we are especially excited to attend. 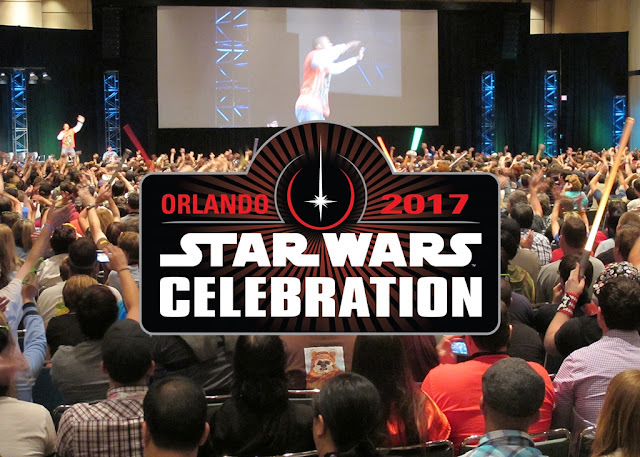 Of course.you can view the full schedule by visiting the official Star Wars Celebration site and checking out the "Events" tab. What panel will they announce the next anthology film for 2020? My guess is the 40th anneversary panel.